I’m always one to um and ah about trends…do I like it? Will it suit me? And so on. But I can honestly say that I’m all over the athleisure trend, it’s right up my street…comfy, stretchy, colourful as you want (or not) and if you get compression fits, well then it’s flattering too! 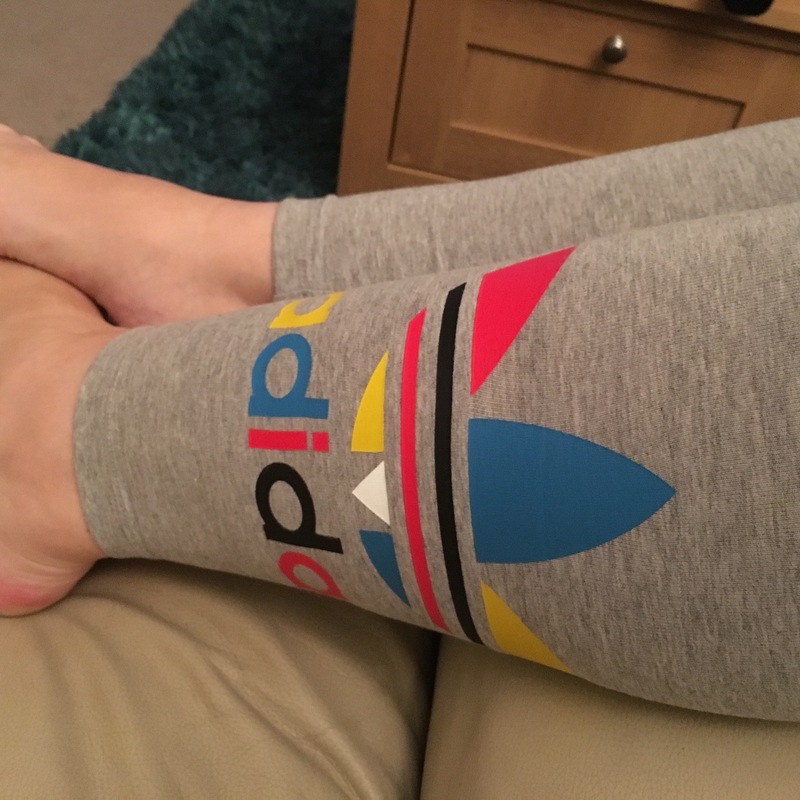 A pair of adidas Originals leggings in grey marl with a rainbow-coloured Trefoil! That’s probs why I love them…all the colour! Oh and p.s the featured image was taken by my new fave app Prism, just to add to the retro appeal of these leggings and this post!